The Christmas period is a brilliant time for buying a car. No one has any spare cash, and sellers are desperate to shift their old motors off their driveways. 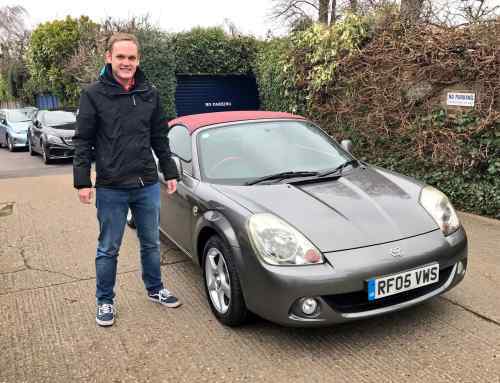 The former was quickly dismissed upon looking at it – it had clearly been neglected and would no doubt throw up some big bills, but the Honda was a little more promising. OK, I did view it in the dark. That’s a bit of a no-no when it comes to used car buying. And the seller didn’t have the V5 in his name, but I believed his reasoning. Daft? Maybe, but it sounded plausible. And the car was a 2005 Honda Civic – practically new within this price range – and came with stacks of receipts. What’s the worst that could happen? I haggled a bit, got him down to £950 (I’d previously seen it advertised at £1,300 before it was reduced to £1,050) and arranged to pick it up a few days before Christmas. You may have noticed… it’s no ordinary Civic. It’s a Type S, which internet forum types will tell you is essentially a thinking man’s Type R. Kind of. It shares the same engine, albeit down on power by 40hp, and it’s got five doors. More doors, more friends. As they say. The day I bought it, I loaded it with Christmas presents and headed a few hundred miles north-west for a test trip loosely disguised as visiting family. All was in order: it returned around 40mpg on the motorway (beating its 37.7mpg combined figure) and cruise control and various other goodies make it a surprisingly pleasant long distance cruiser. One downside is the suspension. It’s rather firm and, with hindsight, I probably ought to have hunted out an Executive trim level with its full leather, heated seats and a sunroof. Not to mention more forgiving ride and a more frugal 1.6-litre engine. But a 1.6-litre Civic doesn’t rev to 7,000. If you’re happy to cling onto the the revs, the Type S will shift along rather well, even if it does feel a bit mechanically unsympathetic.